It’s amongst this bustling, energetic life that some of the world’s oldest, and most celebrated, tailoring traditions live. 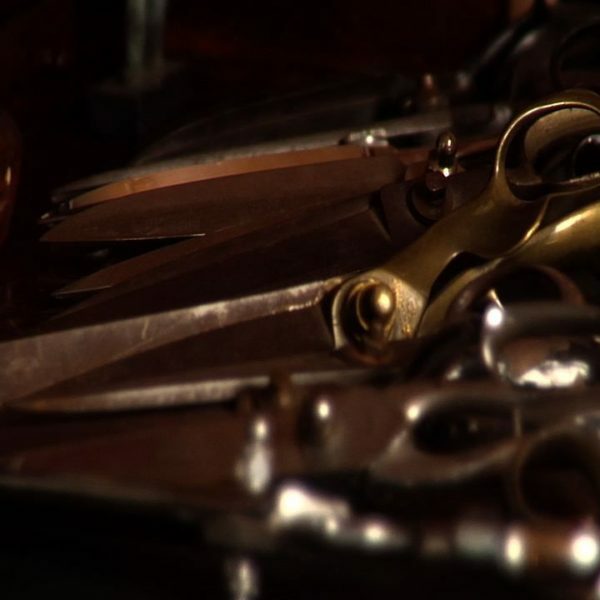 Given how many tailors there are in Naples, the region may be too heterogenous to overly simplify them into one “cut.” However, roughly speaking, there are a few signature characteristics. The first is that the suits are made with very little, if any, padding or structure. The shoulders are softer, rounder, and sit very close to the person’s natural shoulder, rather than being built up from a thick shoulder pad. Second, the fabrics are often lightweight, typically to be expected for Naples’ Mediterranean weather (it used to be said that a Neapolitan jacket had to be as light as the breeze that blew over the Vesuvius). Third, there is an extended front dart, going down to the hem of the jacket. Fourth, and perhaps most important of all, Neaopolitan suits are famous for how the sleeves are attached to the body. The sleevehead is often cut slightly bigger than the armscye, which means there is often a bit of puckering at the top when the sleeve is attached. This method gives the wearer a bit more range in movement even if the jacket itself is relatively lean and close to the body. 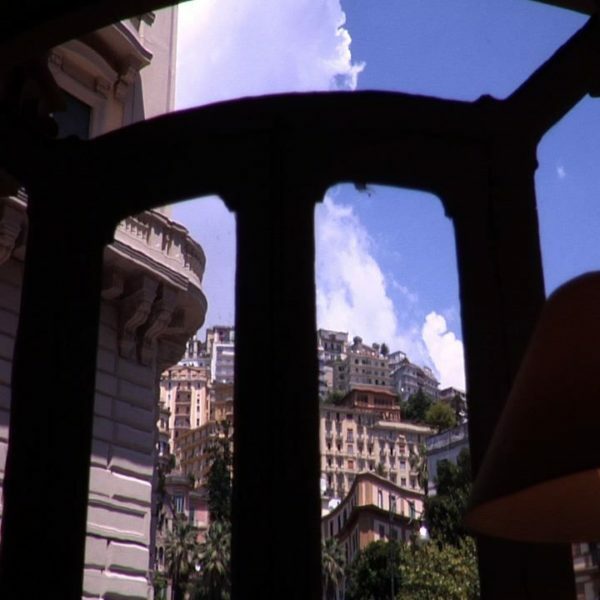 Michael Anton explained much of the classic Neapolitan cut in his article at the London Lounge. It’s hard to say exactly why menswear enthusiasts have always been so enamored with suits from this region. Perhaps it’s because the Neapolitan cut best embodies the romantic ideal we project on Italy (or perhaps the ideal that Italy projects to us). It’s soft, casual, and very “cool.” It could also be that in a long trend towards more casualwear, the softer Neapolitan suit is an easy way to “dress up” without looking formal or stiff. 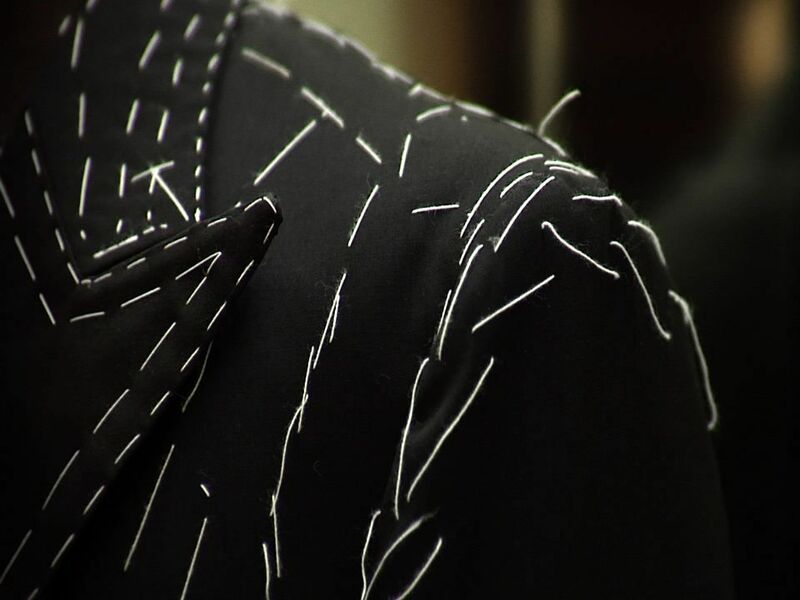 For serious tailoring enthusiasts, there’s also a special appreciation for the technical skill that goes into Neapolitan tailoring. 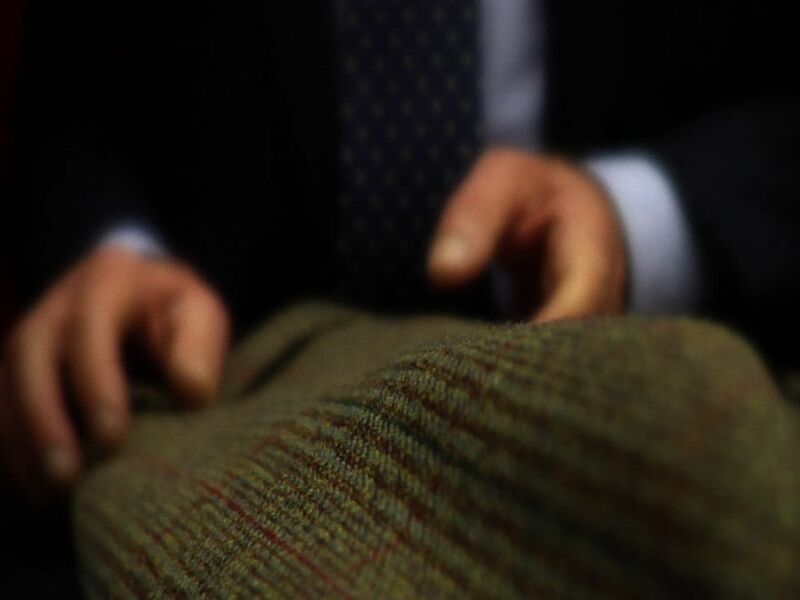 The sleeves are often handset and handsewn into the armscye, and the since the jackets have minimal padding, bespoke jackets from the region have to very exacting – measured and cut to 1/8ths of an inch – in order to fit the client well. 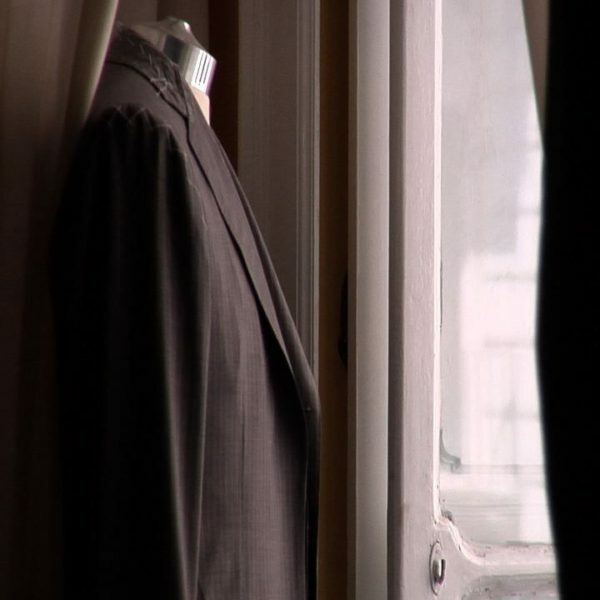 Given the exalted status of Neapolitan suits, there’s no doubt in my mind that O’Mast, a documentary about the region’s tailoring tradition, is going to be one of the most important menswear films ever made. If you haven’t already seen the trailer, you should watch it here immediately. 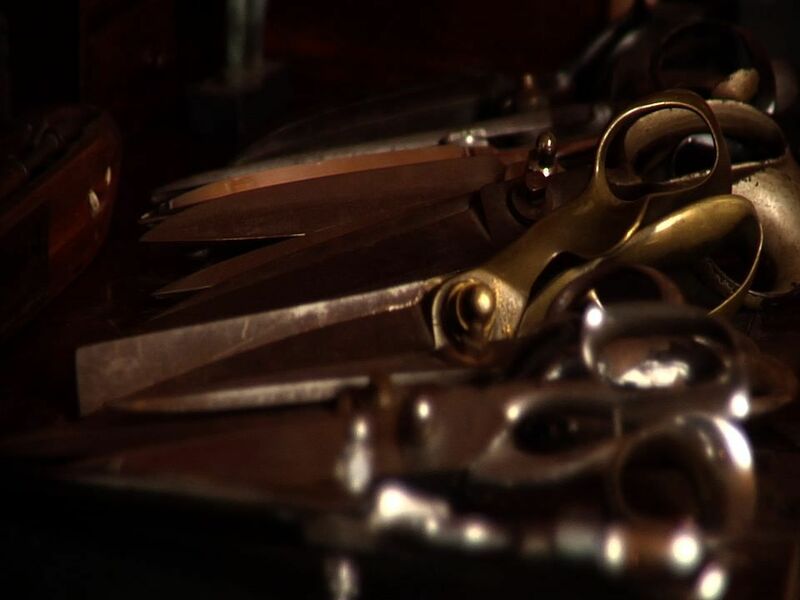 The film captures all of the romanticism of the region’s craftsmanship, but also features serious discussions on substantive issues. 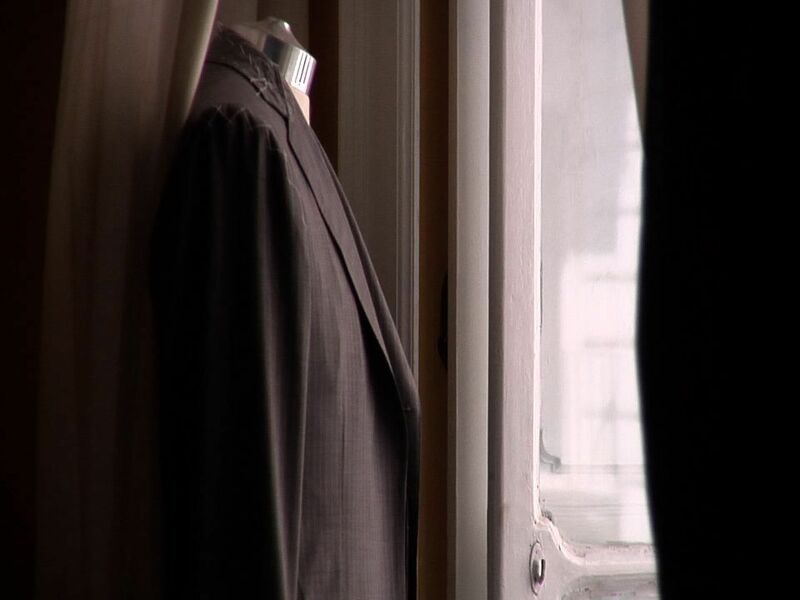 In the film, you’ll see some of Naples’ most important tailors talk about things such as the city’s tailoring history and the art and craft of tailoring itself. This is a film that’s meaty enough for the serious menswear enthusiast, but also introductory enough to not lose the layman with technical details. 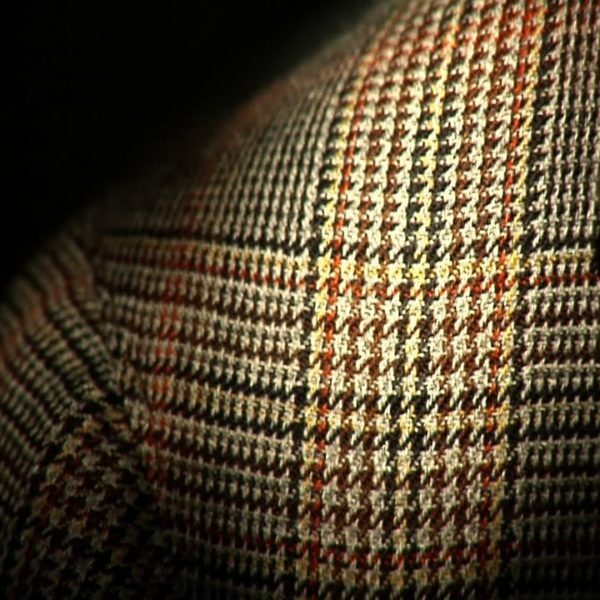 It’s also shot incredibly well – so well that few films on the topic of menswear can even come close to its beauty. I recently had the good fortune of being able to talk to the film’s director, Gianluca Migliarotti, about the project and its subject. I called him a few weeks ago at his home in Milan, where he now resides. Derek: Thanks for taking the time to talk with me. Let’s start with how you became inspired to make this film. 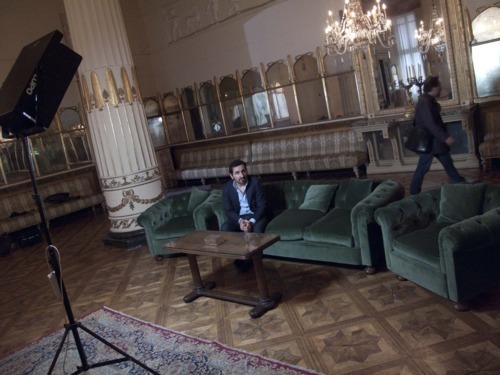 Gianluca: My passion for bespoke tailoring began when I was a kid. In my family, there is a tradition of going to the tailor to have suits and shirts made. It’s actually a common tradition in Naples. Many people do it; it’s not like you have to be from the aristocracy to go the tailor. So I used to go with my father and uncle to the tailor when I was about seven. While my father had his fittings, they would let me play with fabrics. Sometimes they would also ask me for my opinion – like “what do you think of this fabric? If this were for you, what would you choose?” This is something I grew up with and have always been fascinated by. Thus, when I became a filmmaker, I felt the need to celebrate these people and tell their story in a proper way. I’m upset about what’s going on in the market right now. Many big brands will say that they give bespoke service. I know, however, that it is impossible for a big brand to give that kind of service. I know what tailors have gone through in order to become masters at their craft. I want to clarify, and to explain for people who don’t really know, what exactly this craft is, how beautiful it is, and how much knowledge is needed to achieve it. Anyone can make a suit, but to make a truly beautiful suit is a different thing. Derek: So just to clarify, you’re differentiating between made-to-measure and bespoke, correct? And you’re saying many people confuse made to measure with bespoke? Gianluca: Yes, yes, exactly. There is a technical difference. Derek: It’s an important technical different though because the process is very different. There are no fittings, for one. You typically go in, get measured, and those measurements are sent to a factory where they adjust a pattern to you. 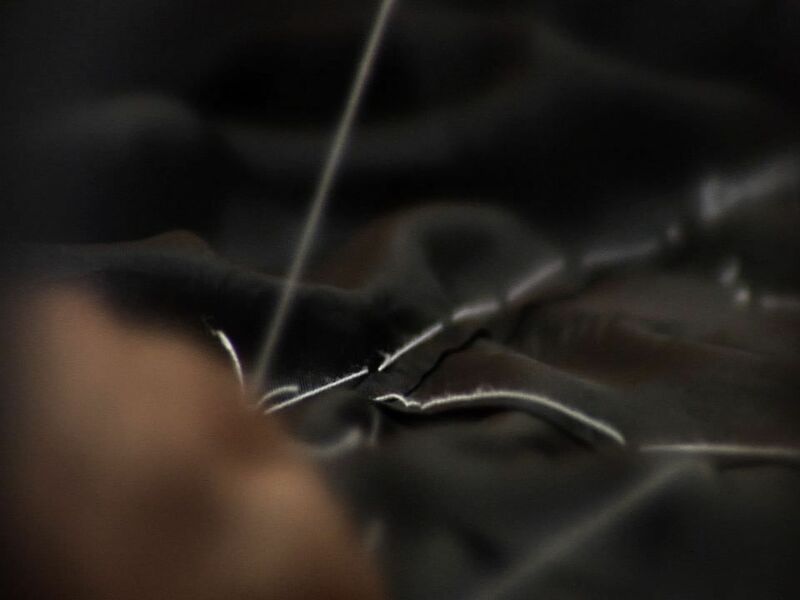 You typically can’t get the same quality in how the suit fits with made-to-measure as you can with bespoke. Gianluca: Yes, they resize something that has already been made, and maybe let you add some details. 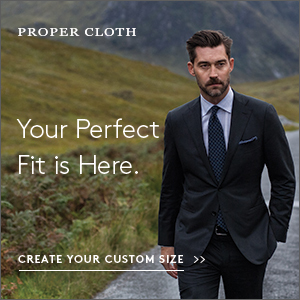 This isn’t the same thing as bespoke tailoring. If you go tailor, you choose literally everything. There is a real craftsmanship in this. 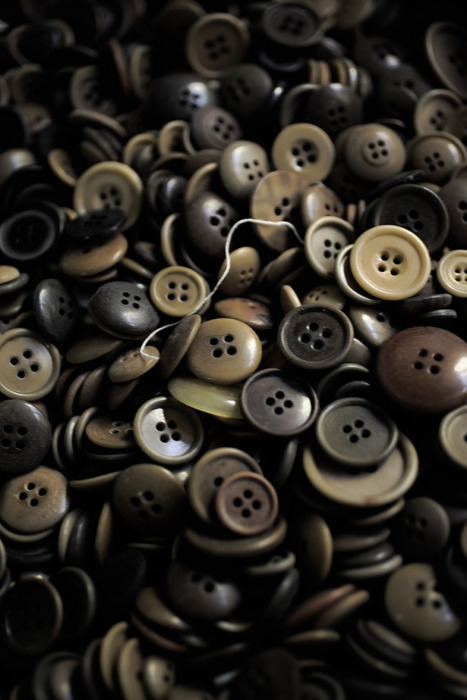 There is also the issue that bespoke tailoring will have imperfections. And this is a somewhat philosophical issue to me. Perfection is not beautiful. Perfection is industrial. A real tailor-made suit, on the other hand, has imperfections. Beauty is the striving for perfection but still has that human touch, so it cannot be perfect. Derek: That point reminds me of a conversation I had with a friend about Nina Simone’s music. There are a lot of imperfections in her voice when she sings, but that’s what makes her music beautiful and moving. When you run a voice through a machine to take out all the imperfections, it’s technically perfect, but it lacks a soul and character. It doesn’t resonate with you. Gianluca: Yes, that’s exactly what I’m trying to say. With music, you sense the difference when you hear music played by a musician and music played by a computer. Digital music is technically perfect, but how can you like that? If I go to the theater, what I love is that those people strive for perfection but the imperfection is the humanity of the piece. I think this is true for anything artisanal. 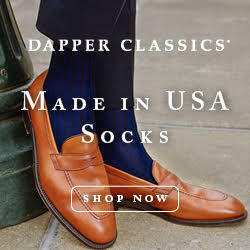 Like with artisanal handmade shoes, you might notice a little “imperfection” somewhere and think that this makes it a little bit “wrong,” but it’s not wrong. You will see one of tailors in the documentary talk about this. 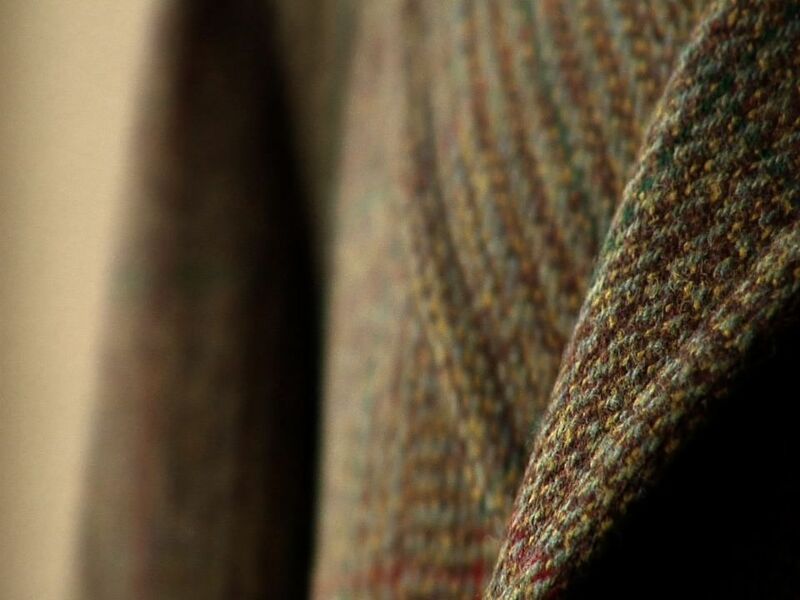 Renato Ciardi of Sartoria Ciardi differentiates between different kinds of “mistakes.” For him, when you have your jacket made and there is a horizontal line, that’s a real mistake; if it’s vertical, that is not a mistake. 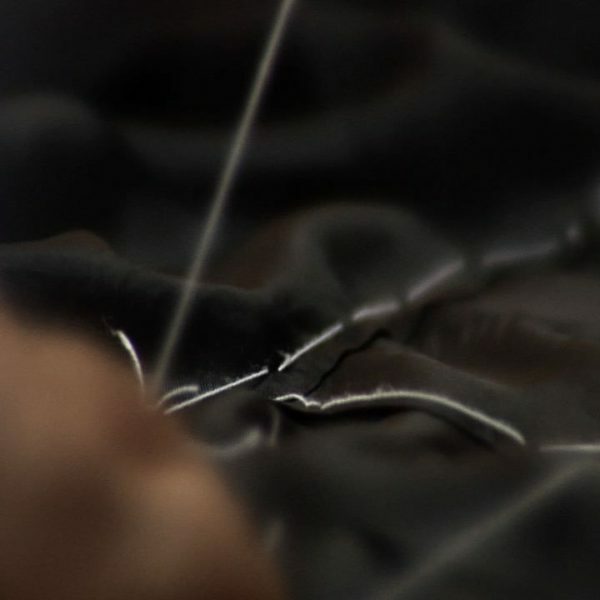 This is something inherent in Neapolitan tailoring because of the soft construction. 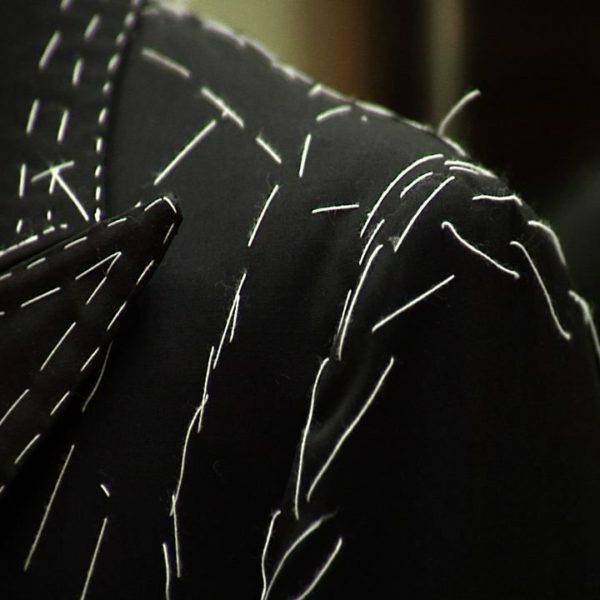 You won’t be able to control some of the vertical lines and these little details are what make a jacket beautiful and unique. Derek: So you said you grew up in this culture. When did you have your first Neapolitan suit made and where did you go? Gianluca: When I was 18. 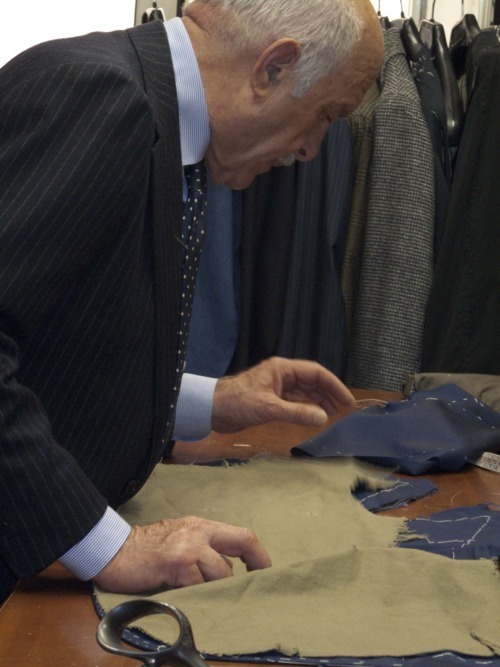 I went to the tailor that has always been the tailor for my family – Ciro Palermo. You probably know that Vincenzo Attolini, one of the greatest tailors we’ve had in Naples, is the one that invented the classic Neapolitan style. 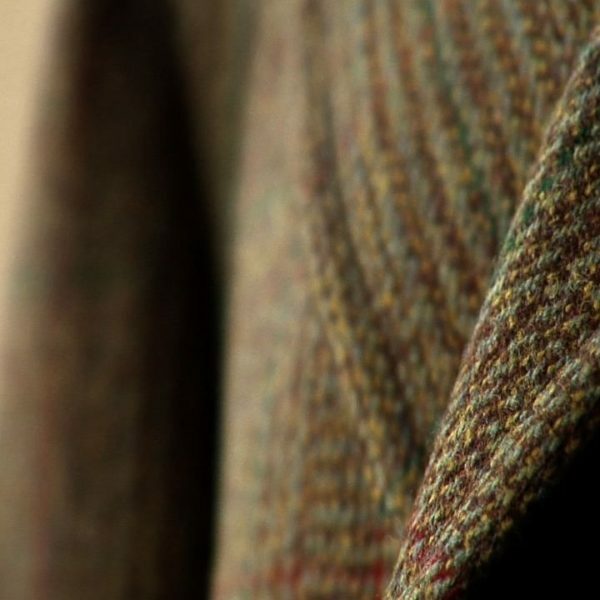 This guy changed the style of the traditional British jacket, which is very built up, and made it the softer, lighter Neapolitan style we know today. Ciro Palermo was the right hand of Attolini, and he’s the tailor for my family. Derek: He’s featured in the film, correct? Gianluca: Oh yes, absolutely. He’s the guy that inspired me. He’s o’mast. 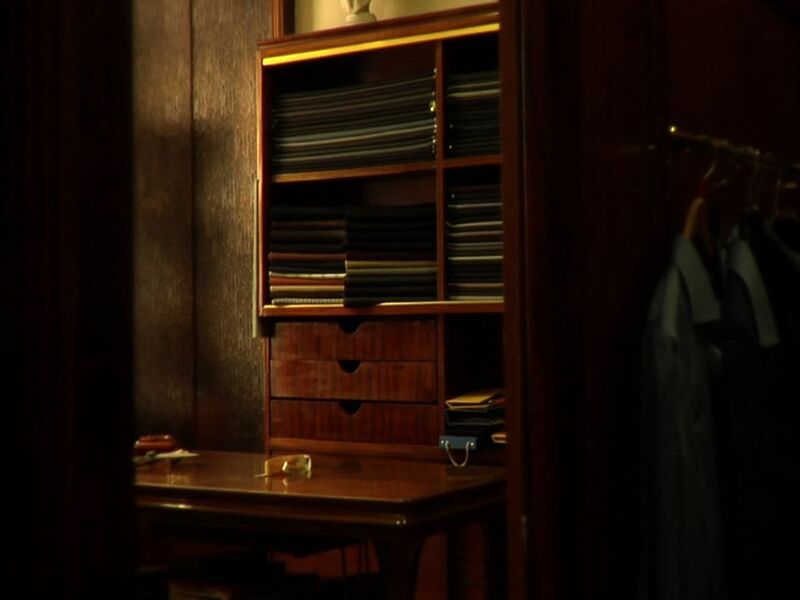 He had a sartoria for fifty years with one of the sons of Vincenzo Attolini, Claudio, who is also in the documentary. In the last ten years, the nephew of Claudio Attolini decided to open a brand – a factory, that is – called Cesare Attolini. This newphew came to Claudio and said “why don’t we make this a Cesare Attolini shop instead of a traditional workshop?” Claudio agreed and went into the business with his nephew, but Ciro decided to keep going as a traditional tailor, so he parted ways and opened up Sartoria Palermo. But until that day, the name of the shop was Sartoria Attolini, and for fifty years, people thought (Palmero) was Attolini because he was the guy at the workshop. Derek: So did the original Sartoria Attolini tailoring workshop close up? Gianluca: Actually yea, it closed up. For a few years it continued but it wasn’t working well because of various reasons. Now it’s a shop for the Napoli soccer team. Derek: Let’s continue talking about history. You’ve already mentioned Attolini’s legacy of having invented the signature Neapolitan cut, but in his time, there was another big tailor – Antonio Blasi. Much of Naples’ tailoring history, as I understand it, is about the legacies of that Blasi and Attolini left behind. Tell us about Blasi. 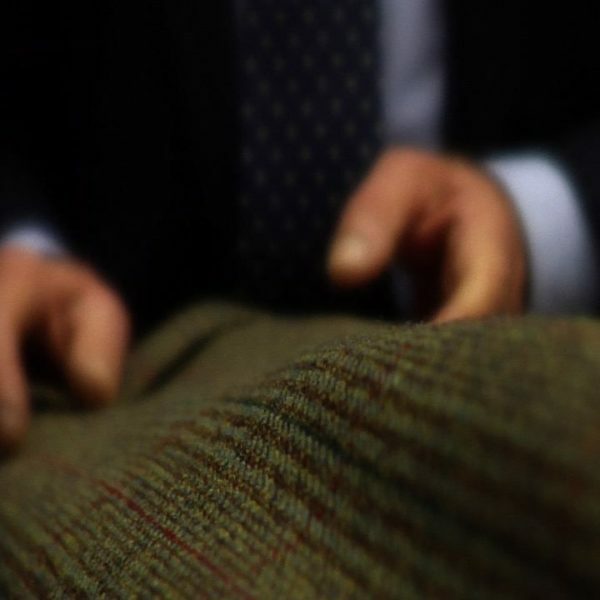 Gianluca: Yes, in the early period of Attolini’s career, Blasi was an even bigger tailor in Naples. He was incredible at what he did – which was making a traditional British style suit. By traditional British made suit, I mean one with all the reinforcings and padding. We say it fits a bit more like a box; you don’t wear the jacket, the jacket wears you. It covers up your flaws in this way. It’s very beautiful, but it also doesn’t really show you for who you are. Attolini took this traditional jacket that Blasi made and “emptied it.” He used very light fabrics, both for the outside and the lining. It’s very soft and unstructured. On the shoulder, there is some very light padding, but it’s not anything like the thick padding you’d find on a traditional jacket. 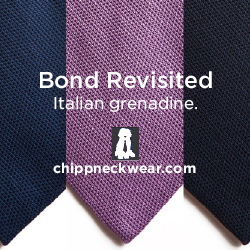 When Attolini came up with this cut, everything changed; it really made the Neapolitan jacket world famous. Blasi used to get people from all around Europe but since Attolini came with this other jacket, it’s been another thing. 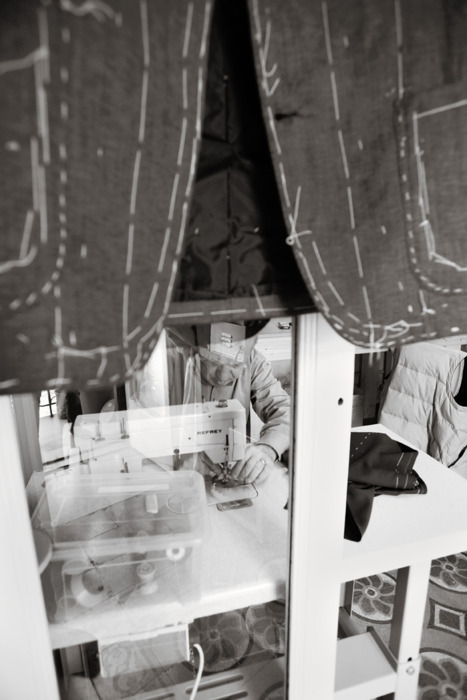 In fact, many of the big tailors alive today grew up in Blasi’s workshop to learn the technical skills, but they changed their style to that of Attolini. I think it’s difficult now to have a traditional British style jacket made in Naples. They just don’t do it. 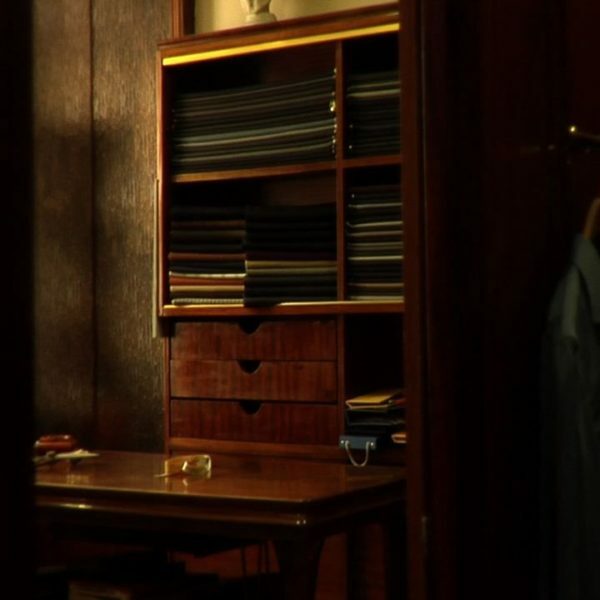 Derek: Besides Attolini and Blasi, who were some of the other early Neapolitan tailors that have been important? Gianluca: De Nicola, Caggiula, Gallo, and Combattente were some of the big names. Blasi and Attolini were the big lasting names, however. The other big tailors just kind of disappeared. I don’t know why. Derek: So Savile Row has gone through various booms and bust periods and has had to work through a variety of threats to the industry. What are some of the threats to tailoring in Naples? Is it thriving right now or at risk of dying? Gianluca: It’s still alive, but struggling. The young guys don’t want to learn the craft and it takes a long time to train. 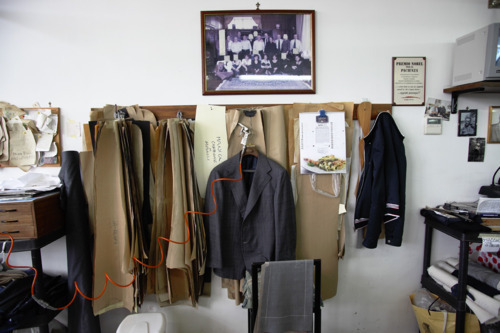 Most of the famous tailors today grew up in workshops from the age of 12 or 13. It’s very hard to master the technique, and then from the technique to learn the style. Most people prefer to have a normal job – like at a bank or something. They don’t want to train that long just to become a tailor. That’s not to say there are no young guys, however. You’ll see some in the documentary. My tailor, for example, is 52 years old and he’s one of the “younger guys” at Sartoria Palmero, so there will be some continuity in the future. The other problem is that fewer people have the patience or time for bespoke tailors. 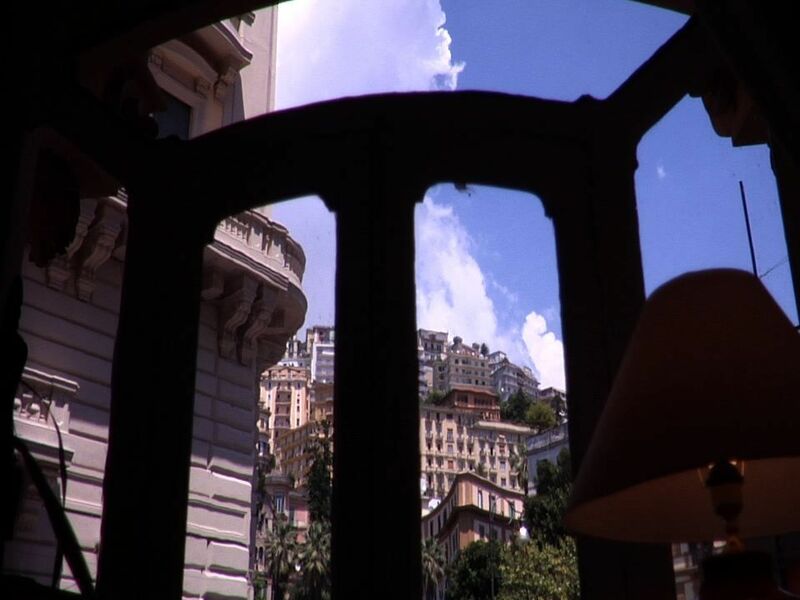 For example, I live in Milan now, but I get my suits made in Naples. I had my first fitting just a bit ago and I have to go back for a second fitting in about fifteen or twenty days. Then there is a third visit some time after that. Most people don’t want to spend this kind of time. You have to passionate about this. Still though, in Naples, there are young people who like to go to the tailor. It’s not what it was like when my father was in his 20s, when there were tailors everywhere, but there are still people who appreciate it. It’s certainly more alive here than, say, Milan. Bespoke tailoring in Milan is really struggling. There are too many made-to-measure brands and people are happy enough with it, even if it’s more expensive than going full bespoke. There’s also just a strong tailoring tradition in Naples. Many people in professional careers still prefer to go bespoke for their style. It’s just considered more proper. Derek: So people in white collar professions still get bespoke and not made-to-measure or off-the-rack? Gianluca: Not all, of course, but yes, there is still a custom for this. It’s a beautiful custom, and very Neapolitan. We really value tradition. That’s why most people here prefer to go to traditional restaurants, not fusion restaurants. For shirts, it’s even more common to go to the tailor. For example, you can get a custom shirt made for you for around $140. If you get something made-to-measure by a big brand, it’s going to be about $180, so there’s not even a point to going made-to-measure. Plus, if you have a relationship with your tailor, it’s nice because you can spend some time at the workshop and chat. Derek: I’ve heard of that. It reminds me a bit of the barbershop culture in the United States, where barbershops were very much about relationships and conversation. Nowadays there are many people who go to Supercuts, but in some quarters, there is still the old tradition where you go to the barber, have a chat, and get your haircut. That’s how people spend their days, and it’s natural because there is a genuine relationship between people and their barbers. Is it similar in that sense with tailors in Naples? Gianluca: Yes, absolutely. For example, I’m friends with my tailor. I go there sometimes, if I’m in the area, just to have a chat, even if I don’t have a fitting. In the case of my tailors – you have to remember that these people are very old fashioned – they’ll cook in the shop and eat on the tables where they work. You should see this, it’s incredible. When I’m in Naples, I stop by my tailors for lunch. I eat with them at the table, and we chat – about old memories, politics, anything. I mean, my tailor knew my grandfather, so he’ll tell me stories about my own family. Derek: What do you think it is about Naples that has allowed it to keep that kind of culture? Those kinds of relationships are rare nowadays. Gianluca: It’s in part because Naples is not a very modern city. The south of Italy is very different from the north or the center, economically and culturally speaking. It’s like the south of Spain. When I go to Seville, it’s the same kind of atmosphere. They still care a lot about their flamencos. They have a particular outfit that they put on Sundays, even entire families go. Sometimes when modernity doesn’t arrive in an aggressive way, it’s not that bad because you can keep some traditions. 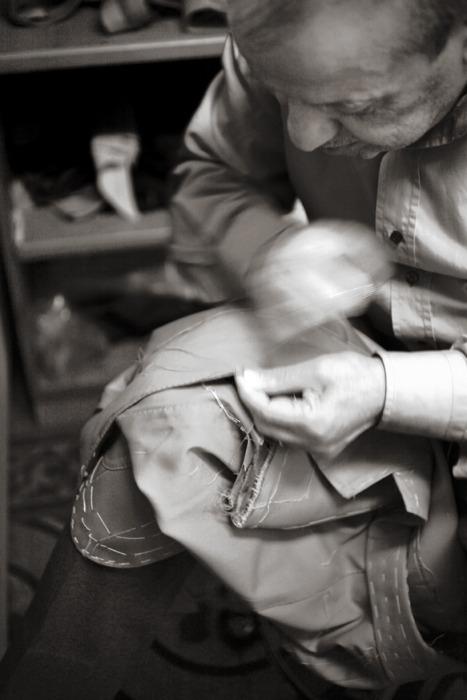 In Naples, we’ve been able to keep some of our tailoring traditions. It’s just how things work around here. My father, who is 70 now, would never consider buying something from a big brand shop, it would just be unconceivable. It’s like if you asked him to go to the coiffeur instead of the barbershop, or to McDonalds instead of a trattoria. It’s just not considered proper. I would rather go to the trattoria for some good pasta instead of McDonalds for a crappy burger. Derek: I imagine where you live now, Milan, is more about McDonalds and coiffeurs. Gianluca: Milan is a little like our New York. All the big factories and entrepreneurs have been here since the 1960s and 70s. Milan is our center for fashion and design, so fashion is accepted and considered a beautiful thing. In Naples, it’s accepted, but only to a point. If you’re bourgeois in Milan, for example, you can wear Prada. If you wore that in Naples, people would look at you strangely. They would think you’re not very elegant. You would be seen as nouveau riche. Derek: That’s very interesting. Have you noticed any other differences in the menswear scene between the two cities? Gianluca: The two cities have very different styles. When you look at men in Milan, at least the ones that go to the tailor, they’re much more formal in their style than Neapolitans. When my father, who is a lawyer, moved to Milan, he dressed in a very Neapolitan way. 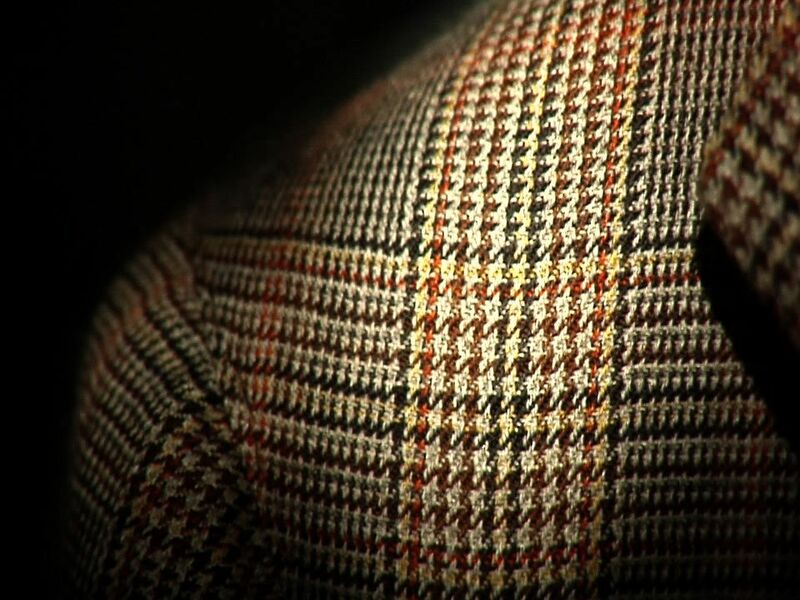 He used to go to his office with a beautiful spezzato jacket (non-suit jacket), flannel pants, and dark brown shoes. This was very accepted in Naples. In Milan, his close friend told him “you know, you’re a bit too colorful. In Milan, we don’t really dress like this – maybe on Fridays, but not Mondays.” In Milan, they like their shoes black, like in they do in London. But in Naples, black shoes are for very formal situations. Some people even find them inelegant. If you have to go to a business meeting, it’s considered much more elegant to wear a navy suit and dark brown shoes. In Naples, certain clothes – ones that are considered overly formal – are not always considered very elegant. We like to say that a man who always dresses in blue is not a very elegant man. It’s like a uniform – there’s no choice involved in it, which means there’s no elegance. You need something to challenge it a bit, or else what’s the point? Derek: So what else is there to the culture of style in Naples? I mean, besides the construction of jackets we’re all familiar with. Gianluca: I said colorful, but it’s not the right word. If you say colorful, it seems like people are wearing orange jackets and green pants. I’m not sure how to explain it. I don’t mean to suggest that Neapolitans are dressing like clowns. Derek: I think I know what you mean. I’ve always seen Italian style as an interpretation of British clothing, but without the Victorian morality. Some people say Italian style is about “looking comfortable in your clothes,” but I think it’s more than that. The Duke of Windsor always look comfortable in his clothes. I think it’s a difference in sensibilities. British style to me is very much more about a specific Anglo morality, worldview, and sensibility – one that grows out of the Victorian era. It’s about a restrained, stiff upper lip dignity. Italian clothing to me seems to take many of these British designs, but leaves out the Victorian reservation. That doesn’t mean you’re walking around with orange jackets, but it’s not as confined. Gianluca: Yes, there’s a tradition of expressiveness. You have to have fun with what you’re choosing. I’ve seen my uncle be really expressive about certain details, such as what tie he would wear on a certain day. You have to dress to express how you’re feeling on a certain day. Derek:Exactly. When I see Italian style – the distinctive stuff, not the kind of stuff in Milan – it seems like a more of an individual expression. It’s the kind of thing that turns heads. With British style, it seems to be more about fitting into a certain environment, and less about standing out. It’s more about respecting a certain order and blending in, rather than expressing yourself as an individual. Gianluca: I completely agree. Though, it’s also very related to weather. If it’s not a very sunny day, and someone jumps out with a yellow linen suit, well that’s not proper. Even if that’s how you’re feeling on that day. It doesn’t mean there are strict rules, but it does mean that you have to have a certain kind of sensitivity to interpret the day in different ways. If you don’t have that sensitivity about the day and yourself, you’re not going to dress well. Elegance is not just about wearing nice clothing; it’s never enough to just wear nice clothes. A good example of what we’re talking about is Vittorio De Sica, who was one of the most elegant men ever. He was a customer of Vincenzo Attolini, incidentally, and he wore many of Attolini’s suits in his movies. I don’t think you can say that De Sica dressed like a clown. He used many shades of gray, but he had a great sensitivity that made him very thoughtful and elegant. He had a way of being that was very smooth. De Sica, to me, is a great demonstration of the difference between Neapolitan and British style. Derek: So I saw that the film was one hour and seven minutes long. Is there a reason why it’s not longer? It seems like this subject is so rich that it could have been five hours long. Gianluca: This is funny. You’re so passionate about the topic that you expect something even longer. As a filmmaker, I always edit my stuff in what we call “natural timing.” Even for documentaries on TV, they limit it to 52 minutes. I’ve actually been pitching the documentary to German TV stations and they want me to edit it down. In the end, I want not just the enthusiasts to enjoy the work but also people who aren’t particularly into this topic to watch it as well. I think an hour and seven minutes works well for that audience. Derek: Just to push on this then, will there be special features on the DVD for the enthusiasts? Perhaps include scenes that were left off? Gianluca: I haven’t decided yet about this. I’ve thought about making a special edition however, but that hasn’t been decided yet. Derek: So what stage are you at with the film? Gianluca: It’s finished and I’ve sent the film to some of the major festivals. Some of the major festivals, however, want exclusive first screening rights. So I can’t show it to anyone before I find out if I’ve been accepted to the festivals. If I don’t get in, then I can do whatever I want. I should know very soon, however. Also, there are plans to show the film at New York University in September. I’ve also been talking to Mark (Cho) about doing a screening at The Armoury in Hong Kong. By the time we do the screening, we should have a DVD available. 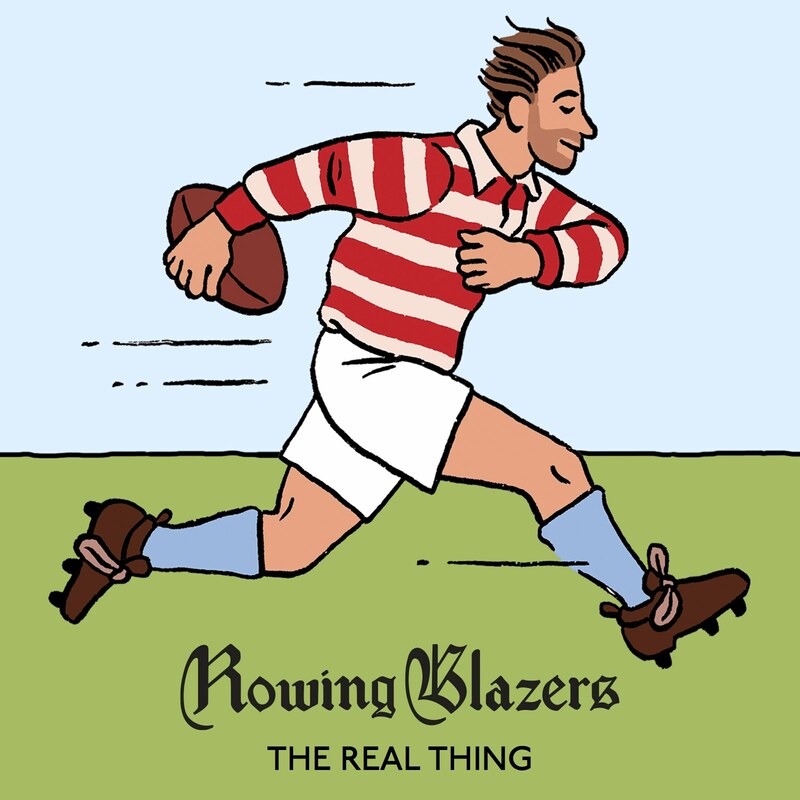 We may also have a digital download available for purchase on the Internet. Derek: So finally, last question, what’s next for you? Do you have any other projects in the works? Gianluca: I have something in mind, possibly close to this topic, but I’m not sure. I would love to do something about elegance, but more abstracted. It would be about what we talked about before. Elegance to me is not just about a suit – it’s about the way you use it, the way you move, the way you talk, all this stuff. So maybe there could be something done on the abstracted idea of elegance. But I’m still thinking about this, I have to understand what is the key to something like that before I start on the project.